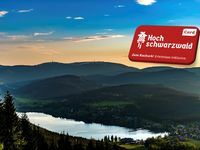 Properties in Tiengen (Hochrhein) Station average 4.6 out of 5 stars. Apartment with private sun terrace, centrally located in the Southern Black Forest. 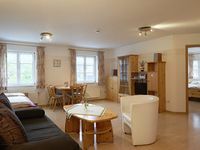 Property 30: Apartment with private sun terrace, centrally located in the Southern Black Forest. My family can&rsquo;t say enough good things about Ralf and his family. The room was impeccably clean and well furnished. The hospitality unmatched. The food was delicious. It is a great base of operations for the Black Forest and we will definitely return. My family of five recommends as one of our favorite new places to stay!